modern theosophical movement in New York. as part of its “Secret Doctrine Reference Series”. language equivalents are part of A. Wilder’s text. The name by which Ammonius Saccas designated himself and his disciples was that of Philaletheians, or, lovers of the truth. They were also sometimes denominated Analogeticists, because of their practice of interpreting all sacred legends and narratives, myths and mysteries, by a rule or principle of analogy and correspondence, so that events which were related as having occurred in the external world were regarded as expressing operations and experiences of the human soul. It has, however, been usual to speak of them by the designation of Neoplatonists or New Platonists, and, indeed, by this name they are generally known. Writers have generally fixed the time of the development of the Eclectic theosophical system during the third century of the Christian era. It appears to have had a beginning much earlier, and, indeed, is traced by Diogenes Laertius to an Egyptian prophet or priest named Pot-Amun , who flourished in the earlier years of the dynasty of the Ptolemies. The establishment of the Macedonian kingdom in Egypt had been followed by the opening of schools of science and philosophy at the new capitol. Alexandria soon became celebrated as the metropolis of literature; every faith and sect had representatives there. There had always been communication between the sages of Bactria  and upper India and the philosophers of the West. The conquests of Alexander, Selencus and the Romans had increased the acquaintance. The learned men now thronged Alexandria. The Platonists seem to have been most numerous and to have held their ground the longest. Under Philadelphus, Judaism was also planted there, and the Hellenic teachers became rivals of the College of Rabbis of Babylon. The Buddhistic, Vedantic and Magian systems were expounded along with the philosophies of Greece. It was not wonderful that thoughtful men supposed that the strife of words ought to cease, and considered it possible to extract one harmonious system from the various teachings. There did result an approximation of sentiment. Aristobulus, the Jew, declared that the ethics of Aristotle were derived from the Law of Moses; and Philo, after him, attempted to interpret the Pentateuch in accordance with the doctrines of Pythagoras and the Academy. In Josephus, it is said, that, in the book of the Genesis, Moses wrote philosophically – that is, in the figurative style; and the Essenes of Carmel were reproduced in the Therapeutea of Egypt, who, in turn, were declared by Eusebius to be identical with the Christians, though they actually existed long before the Christian Era. Indeed, in its turn, Christianity also was taught at Alexandria, and underwent an analogous metamorphosis. Panteanus, Athenagoras and Clement were thoroughly instructed in the Platonic philosophy, and comprehended its essential unity with the oriental systems. Ammonius Saccas, the great teacher, who would seem to have been raised up for the work of reconciling the different systems, was a native of Alexandria, and the son of Christian parents, although associating much with those who adhered to the established religion of the empire. He was a man of rare learning and endowments, of blameless life and amiable disposition. His almost superhuman ken and many excellencies won for him the title of theodidaktos, or God-taught; but he followed the modest example of Pythagoras, and only assumed the title of philaletheian, or, lover of the truth. Ammonius declared that the system of doctrine and moral life denominated Wisdom was taught in the Books of Thoth, or Hermes Trismegistus, from which records Pythagoras as well as Plato derived his philosophy. They were regarded by him as being substantially identical with the teachings of the sages of the remote East. As the name Thoth means a college or assembly, it is not altogether improbable that the books were so named as being the collected oracles and doctrines of the sacerdotal fraternity of Memphis. Rabbi Wise has suggested a similar hypothesis in relation to the divine utterances recorded in the Hebrew Scriptures. But the Indian writers assert that during the reign of King Kansa, the Yadus or sacred tribe left India and migrated to the west, carrying the four Vedas with them. There was certainly a great resemblance between the philosophical doctrines and religious customs of the Egyptians and Eastern Buddhists; but whether the Hermetic books and the four Vedas were in any sense identical, is not now known. It is certain, however, that there was, in every ancient country having claims to civilization, an esoteric doctrine, a system which was designated Wisdom ; and those who were devoted to its prosecution were first denominated sages, or wise men. Afterward, the epithet of philosophers, or, lovers of wisdom, was adopted. Pythagoras termed this system a Gnosis or knowledge of things that are. Under the noble designation of Wisdom, the ancient teachers, the sages of India, the magians of Persia and Babylon, the seers and prophets of Israel, the hierophants of Egypt and Arabia, and the philosophers of Greece and the West, included all knowledge which they considered as essentially divine; classifying a part as esoteric and the remainder as exterior. The Hebrew Rabbis called the exterior and secular series the Mercavah, as being the body or vehicle which contained the higher knowledge. Theology, worship, vaticination, music, astronomy, the healing art, morals and statesmanship were all thus comprised. Thus Ammonius found his work ready to his hand. His deep spiritual intuition, his extensive learning, his familiarity with the Christian fathers, Pantaenus, Clement and Athenagoras, and with the most erudite philosophers of the time, all fitted him for the labor which he performed so thoroughly. He was successful in drawing to his views the greatest scholars and public men of the Roman Empire, who had little taste for wasting time in dialectic pursuits or superstitious observances. The results of his ministration are perceptible at the present day in every country of the Christian world; every prominent system of doctrine now bearing the marks of his plastic hand. Every ancient philosophy has had its votaries among the moderns; and even Judaism, oldest of them all, has taken upon itself changes which were suggested by the “God-taught” Alexandrian. Like Orpheus, Pythagoras, Confucius, Socrates, and Jesus himself, Ammonius committed nothing to writing. Instead, he only inculcated moral truths upon his auditors, while he communicated his more important doctrines to persons duly instructed and disciplined, imposing on them the obligations of secrecy, as was done before him by Zoroaster and Pythagoras, and in the Mysteries. Except a few treatises of his disciples, we have only the declarations of his adversaries from which to ascertain what he actually taught. This was, however, no exception to the common rule. The older worship, which was preserved in a certain degree in the Mysteries, required an oath from the neophytes or catechumens not to divulge what they had learned. The great Pythagoras divided his teachings into exoteric and esoteric. The Essenes of Judea and Cannel made similar distinctions, dividing their adherents into neophytes, brethren and the perfect. Pythagoras is said by Iamblichus to have spent time at Carmel. Jesus himself followed the same custom, declaring to his disciples that to them it was given to know the mysteries of the kingdom of heaven, whereas to the multitude it was not given, and therefore he spoke in parables which had a two-fold meaning. Abraham, whose name has a Brahmin sound to it, is said to have migrated from Ur, a college or commune of the Casdeans or Magians; and Josephus declares that he taught mathematics. In the Pythagorean vocabulary, mathematics mean esoteric knowledge. Moses, the M’usa,  or great sage of the Israelites, it is said, was instructed in all the wisdom of the Egyptians, thus becoming a priest of their religion, and an initiate or adept in their secret learning. Paul declares the story of Abraham and his two sons to be an allegory pre-figuring the Judaical and Christian systems. Clement, who had been initiated into the Eleusinian mysteries, is said to have declared that the doctrines there taught contained in them the end of all instruction, and had been taken from Moses and the prophets. With a general similarity in the character of the ancient religious and philosophical views, the course would seem to have been indicated for Ammonius to pursue. Countenanced by Clement and Athenagoras in the church, and by learned men of the Synagogue, the Academy and the Grove, he fulfilled his labor by teaching a common doctrine for all. He had but to propound his instructions “according to the ancient pillars of Hermes, which Plato and Pythagoras knew before, and from them constituted their philosophy”. Finding the same sentiments in the prologue of the gospel according to John, he very properly supposed that the purpose of Jesus was to restore the great doctrine of Wisdom in its primitive integrity. The narratives of the Bible and the stories of the gods, he considered to be allegories illustrative of the truth, or else fables to be rejected. The peculiarity of the Philaletheians, their division into neophytes, initiates and masters, was copied from the Mysteries and philosophical systems. It is recorded that Ammonius obligated his disciples by oath not to divulge his higher doctrines, except to those who had been thoroughly instructed and exercised. How far this condition was proper is easily perceived when we contemplate the peculiar mystical, profound character of such of the doctrines as have escaped from the crypt. The Eclectic system was characterized by three distinct features, namely: Its theory of the Godhead, its doctrine of the human soul, and its theurgy. Modern writers have commented upon the peculiar views of the New Platonists upon these subjects, seldom representing them correctly, even if this was desired or intended. Besides, the immense difference in the nature of ancient and modern learning has unfitted, to a great degree, students of the later centuries for apprehending properly the predominating elements of the Philaletheian theosophy. The enthusiasm which now-a-days is often considered as piety, would hardly be competent to explore or have anything in common with the enthusiasm of the old mystic philosophers. The anterior idea of the New Platonists was that of a single Supreme Essence. This is the Diu, or “Lord of Heaven”, of the Aryan nations, identical with the Iao of the Chaldeans and Hebrews, the Iabe of the Samaritans, the Tiu or Tuisco of the Northmen, the Duw of the Britons, the Zeus of the Thracians, and Jupiter of the Romans. He was the Being, the Facit, one and supreme. From him all other beings proceeded by emanation. The moderns appear to have substituted for this theory of evolution. Perhaps a wiser sage will combine the two hypotheses. These deity-names often seem to have been invented with little or no reference to etymological signification, but principally because of some mystical meaning attached to the numerical signification of the specific letters employed in their orthography. The Eclectics or Philaletheians accepted substantially these doctrines, the principal difference being in names. They taught, like all the old sages, that all beings and things proceeded from the Supreme Deity in series, or discrete degrees of emanation. There are four orders of existence, says Iamblichus – gods, demons, heroes and souls. This theosophy would explain the declaration of Paul, that “all things came out from God”, and that assertion of Jesus, that “the Kingdom of God is within”. It was not an attempt to oppose Christianity, or resuscitate paganism, as Lloyd, Mosheim, Kingsley and others assert; but to extract from all their most valuable treasures, and, not resting there, to make new investigations. Of course there was no avatar. Plotinus, a native of Lycopolis, in Egypt, was the first great expositor of the Neo-Platonic system. In the year 233, being then twenty-eight years of age, he began the study of Plato and Aristotle at Alexandria, and shortly afterward fell in with the celebrated work of Philostratus, the “Life of Apollonius of Tyana”, together with the writings of Plutarch and Apuleius. While in the midst of such studies, he became acquainted with Ammonius Saccas. The lessons of that great teacher found in him a worthy disciple. What Plato was to Socrates, and the apostle John to the head of the Christian faith, Plotinus became to the God-taught Ammonius. To Plotinus, Origenes and Longinus we are indebted for what is known of the Philaletheian system. They were duly instructed, initiated and intrusted with the interior doctrines. Of Origenes little has been preserved. Longinus traveled for many years, and finally took up his abode at Palmyra. For some time he was the counselor of the celebrated Queen Zenobia. After the conquest of that city, she sought to propitiate the Emperor Aurelian by laying the blame of her action upon Longinus, who was accordingly put to death. The Jew Malek, commonly known as the distinguished author Porphyry, was a disciple of Plotinus, and collected the works of his master. He also wrote several treatises, giving an allegorical interpretation to parts of the writings of Homer. Iamblichus also wrote a work upon the doctrines taught in the Mysteries, and likewise a biography of Pythagoras. The latter so closely resembles the life of Jesus that it may be taken for a travesty. Diogenes Laertius and Plutarch relate the history of Plato according to a similar style. Plotinus, when thirty-nine years old, accompanied the army of the Roman Emperor, Gordian, to the East, for the purpose of being instructed directly by the sages of Bactria and India. But the Emperor was killed on the way, and the philosopher narrowly escaped with his life. He returned home and afterward removed to Rome, where he instituted a school for instruction in philosophy by conversations. It was frequented by men and women of all ages and ranks. The emperor and empress held him in high esteem, and his disciples venerated him almost as a superior being. One of them, the Senator Rogentianus, emancipated his slaves and resigned his dignities that he might devote himself to the cultivation of wisdom. 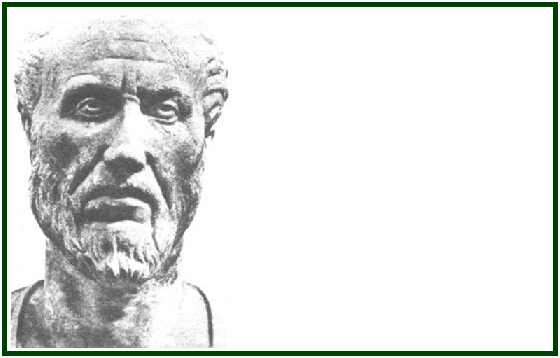 So high was the reputation of Plotinus, that he was continually chosen as a guardian for orphan children, and intrusted with the care of large estates. He lived at Rome twenty-eight years, making not a single enemy among those whom he had served. The system, it must be acknowledged, provided for the highest spiritual development. Plutarch says, “The end of the Egyptian rites and mysteries was the knowledge of the One God, who is the Lord of all things, and to be discerned only of the soul. Their theosophy had two meanings – the one holy and symbolical, and the other popular and literal. The figures of animals which abounded in their temples, and which they were supposed to worship, were only so many hieroglyphics to represent the divine qualities.” These mysteries, it will be remarked, are said to have constituted the basis of the Eclectic system. The human soul being regarded as the offspring or emanation of the Deity, the whole scope of the Philalethean system was directed to the development and perfecting of its divine faculties. Plotinus taught that there was in the soul a returning impulse, love, which attracted it inward toward its origin and center, the Eternal Good. While the person who does not understand how the soul contains the Beautiful within itself will seek by laborious effort to realize beauty without, the wise man recognizes it within himself, develops the idea by withdrawal into himself, concentrating his attention, and so floating upward toward the divine fountain, the stream of which flows within him. The Infinite is not known through the reason, which distinguishes and defines, but by a faculty superior to reason, by entering upon a state in which the individual, so to speak, ceases to be his finite self, in which state divine essence is communicated to him. This is ecstasy, which Plotinus defines to be the liberation of the mind from its finite consciousness, becoming one and identified with the Infinite. This sublime condition is not of permanent duration, but is enjoyed at intervals, and its attainment is facilitated and repeated by abstinence, which tends to purify and elevate the mind. The agencies to accomplish it are as follows: Love of beauty in the poet, devotion to science in the philosopher, love and prayer in the devout. The efflux from the Divine Being was imparted to the human spirit in unreserved abundance, accomplishing for the soul a union with the divine, and enabling it while in the body to be partaker of the life which is not of the body. Thus, says Iamblichus, the soul, in contemplating blessed spectacles, acquires another life, operates according to another energy, and is thus rightly considered as no longer ranking in the common order of mankind. Frequently, likewise, abandoning her own life, she exchanges it for the most felicitous energy of celestial beings. By supplicating, we are led to the object of supplication; we acquire its similitude from this intimacy, and gradually attain divine perfection. Being thus adapted to participate in the divine nature, we possess God himself. Plotinus also taught that every person has the interior sense or faculty denominated intuitio, or spiritual instinct, which is developed by proper cultivation, and enables to perceive and apprehend actual and absolute fact more perfectly than can be done through the mere exercising of the reasoning powers and outward sensibility. It is a projecting of the consciousness from the subjective into the objective, so that what pertains to the selfhood of the person – what is in the mind and heart – is made to appear as constituting the things which may be seen around him. In this way, dreams are constituted; we see and converse with persons around us, and observe objects and events – all of them being but the creation of our own mind, or the reflection from our mind into a medium analogous to a surrounding mirror. Persons have detected themselves, while awake, seemingly in earnest conversation with an invisible being, but presently perceived that it was only a talking with themselves or a process of ratiocination, which was really subjective, while it seemed to be objective. This is what may be termed spiritual photography. The soul is the camera in which facts and events, future, past, and present, are alike fixed; and the mind becomes conscious of them. Beyond our everyday world of limits, all is as one day or state – the past and future comprised in the present. Probably this is the “great day”, the “last day”, the “day of the Lord”, of the Bible writers – the day into which everyone passes by death or exstasis. Then the soul is freed from the constraint of the body, and its nobler part is united to higher nature and becomes partaker in the wisdom and foreknowledge of the higher beings. When Jesus declared that the son of man is lord of the Sabbath, he uttered the very idea which Plotinus repeated in demanding that the sacrifices should come to him. Plotinus, Iamblichus and Apollonius of Tyana, are said to have possessed miraculous powers of prediction and healing. The former art had been cultivated by the Essenes and B’no Nabim among the Hebrews, as well as at the pagan oracles. “I am not a prophet, nor the son of a prophet”, said Amos, when accused of predicting untoward things, “but the Lord called me”. Apollonius is declared, by his biographer, Philostratus, to have healed the sick and raised the dead, and others of those days were reported to have done extraordinary cures. “That which especially distinguished the fraternity”, said a German writer, “was their marvelous knowledge of all the resources of medical art. They wrought not by charms, but by simples.” Perhaps often their skill in healing won them the reputation of performing miracles. It is more than probable, however, that they employed the agency so commonly known as animal magnetism. It was usual to exercise it by gently placing the hand on or near the diseased part, stroking it gently and uttering a chant or incantation. It has become fashionable to declaim about these practices as charlatanism, but they appear to have existed in all ages and among different peoples. Demons and diseases were supposed anciently to be overcome by sacred chanting. It is apparent that these mystics were proficient in the art of medicine, and familiar with herbal science; but their discoveries were lost through the destruction of the Alexandrian library. Perhaps, but for this, there would have been an Eclectic school of medicine in the world, the offspring of the knowledge of these “wise men from the East”. Instead of it, however, they left an alchemy, or mystical philosophy, which subsequent inquirers, construing too literally, lost sight of the allegorical meaning, and, prosecuting the matter further, brought into existence the science of chemistry. Iamblichus transcended the other Eclectics, and added to their theosophy the doctrine of a theurgy. He taught that the individual must be elevated to association with spiritual and celestial beings, the possession of their knowledge and will, and the ability to control as a god inferior natures. He appears to have been thoroughly familiar with the phenomena of the mesmeric trance and clairvoyance, and describes them with great exactness. He taught that the idea of God was imprinted in the soul, not by reason or ratiocination, but by a spiritual conception which is eternal and contemporary with the soul. The different orders of spiritual beings are mediators between God and man. Their prescience extends over everything and fills everything capable of it. They also give intimations during the waking hours, and impart to the soul the power of a wider perception of things, the gift of healing, the faculty of discovering arts and new truths. There are different degrees of this inspiration; sometimes it is possessed in the highest, sometimes in an intermediate, and sometimes only in the lowest degree. Proclus elaborated the entire theosophy and theurgy of his predecessors into a complete system. Like the Rabbis and Gnostics, he cherished a perfect reverence for the Abraxas, the venerable name, or Word; and he believed with Iamblichus in the attaining of a divine power, which overcoming the mundane life, rendered the individual an organ of the Deity, speaking a wisdom which he did not comprehend, and becoming the utterance of a superior will. He even supposed that there might be mystic pass-words that would carry a person from one order of spiritual beings to another, higher and higher, till he arrived at the absolute divine. Faith, he inculcated, would make one the possessor of this talisman. The Eclectics flourished for several centuries, and comprised within their ranks the ablest and most learned men of their time. Their doctrines were adopted by pagans and Christians in Asia and Europe, and for a season everything seemed favorable for a general fusion of religious belief. The Emperors Alexander Severus and Julian embraced them. Their predominating influence upon religious ideas excited the jealousy of the Christians of Alexandria. Hypatia, the celebrated lecturer, the teacher of the bishop Synesius, and daughter of Theon, was set upon by a mob, headed by an ecclesiastic, dragged to a church and brutally murdered. The school was removed to Athens, and finally closed by the Emperor Justinian. Its professors withdrew to Persia, where they made many disciples. The influences of these great teachers existed through all the subsequent centuries. At different periods of the mediaeval age, arose remarkable men, who propounded one or other of the cardinal Hermetic doctrines. The Mystics and Quietists, Sufis and theosophers of every grade draw liberally on the treasure which the Philaletheian Neo-Platonists had filled so liberally. Emanuel Swedenborg and Jacob Boehmen do not seem to have been exceptions; and Madame Guyon would have made a glorious counterpart of Iamblichus. Hardly a religious creed exists in the Christian world which has not thus been enriched; and literature has thence derived its choicest embellishment. Whatever the apparent demerits of the Philaletheian doctrines, there must be general approval of the great underlying ideas of Human Brotherhood and perfectibility. Their proper aim was the complete establishment of the rule of peace on earth, instead of that dominion of the sword which had served in former ages, and which was destined, in subsequent centuries, to array millions of human beings in mortal warfare against each other, and depopulate countries and districts in the name of religion. Even when there were no sources of water. Akin to this is the doctrine of the Jewish Kabala, which was taught by the Pharsi or Pharisees, who probably borrowed it, as their sectarian designation would seem to indicate, from the magians of Persia. It is substantially embodied in the following synopsis. The Divine Being is the All, the Source of all existence, the Infinite; and He cannot be known. The universe reveals Him, and subsists by Him. At the beginning, His effulgence went forth everywhere. Eventually He retired within Himself, and so formed around Him a vacant space. Into this He transmitted His first emanation, a Ray, containing in it the generative and conceptive power, and hence the name IE, or Jah. This, in its turn, produced the tikkun, the pattern or idea of form; and in this emanation, which also contained the male and female, or generative and conceptive potencies, were the three primitive forces of Light, Spirit and Life. This Tikkun is united to the Ray, or first emanation, and pervaded by it; and by that union is also in perpetual communication with the infinite source. It is the pattern, the primitive man the Adam Kadmon, the macrocosm of Pythagoras and other philosophers. From it proceeded the Sephiroth – ten emanations, which are not individual existences, but qualities, and names as follows: the Crown, Wisdom, Magnificence, Prudence, Severity, Beauty, Conquest, Glory, Foundation, Dominion. From the ten Sephiroth in turn emanated the four worlds, each proceeding out of the one immediately above it, and the lower one enveloping its superior. These worlds become less pure as they descend in the scale, the lowest in all being the material world. But there is nothing purely material; all subsist through God; the Ray, His first emanation, penetrating through all creations, being the life of life; therefore all is divine. The first world, Aziluth, is peopled by the purest emanations; the second, Beriah, by a lower order, the servants of the former; the third, Jezirah, by the cherubim and seraphim, the Elohim and B’ni Elohim. The fourth world, Asiah, is inhabited by the Klipputh, of whom Belial is chief. The human soul derives its elements from the four worlds: spiritual life, intellect, the passions, and corporeal appetites. A conflict having arisen between the inhabitants of the fourth world, Asiah, and the higher emanations, evil and disorder have thereby come to exist. Mankind having sinned in their first parent, from whose soul every human soul is an emanation, they are exiled into material bodies to expiate that sin and become proficient in goodness. They will continue to be born in new bodies, one after another, till they become sufficiently pure to enter a higher form of existence. This was called the anastasis, or continued existence; also, changes of the soul.